Oscillating between ‘Cía.’ as the abbreviation of ‘Compañía’ in Spanish, and CIA, as Central Intelligence Agency, in English. The accent creates a hybrid Mexican/American nickname. A multicultural hybrid ‘code’ name. Where ‘Co.’ is the abbreviation of Company in English; D’ alludes to French language; and ‘CF´’ seems more like an insider ‘code’ for café. Referring to the prevailing ‘text message’ or ‘Tweet’ code. Appropriate for the youth market. 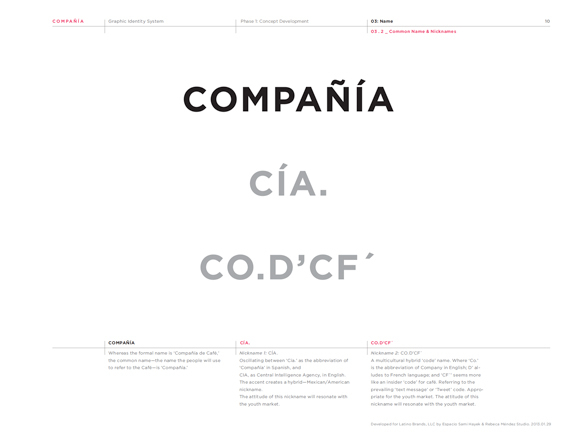 The original logotype is the common name ‘Compañía’ with a circle. 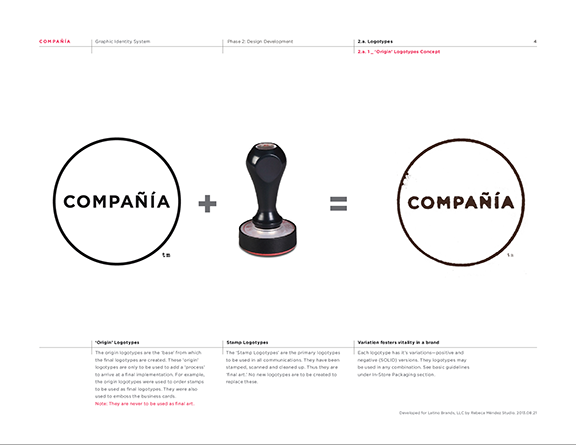 This original logotype is processed through a rubber stamp—a usual item in any kind of ‘Compañía’— and is pressed to create the Primary Logotype shown above right. The Primary Logotype appears as if pressed by an espresso dripping coffee cup. 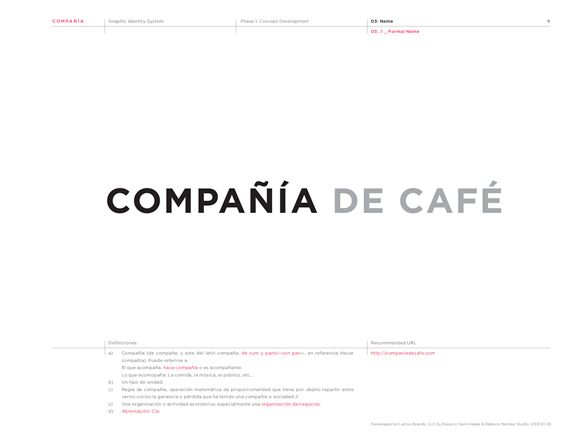 The coffee cup print is an essential graphic element in the ‘Compañía’ graphic identity.